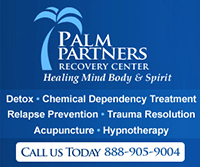 Alcohol withdrawal syndrome is dangerous but there is help! Alcohol withdrawal syndrome can cause serious side effects in people who abruptly quit drinking after an extensive or excessive period of alcohol consumption. Excessive drinking leads to physical dependence, increased tolerance and subsequent alcohol withdrawal syndrome when the drinker attempts to quit. This syndrome can lead to seizures, neurotoxicity and a number of other adverse health consequences along the way. 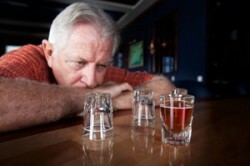 The severity of the alcohol withdrawal syndrome can vary in scope depending on a variety of different factors including how much the alcoholic drinks each day, what type of alcohol (beer or hard liquor) is consumed, the length of time that the alcoholic has been drinking regularly and various other factors. Mild alcohol withdrawal syndrome can lead to sleep disturbances and insomnia while moderate to severe signs may include hallucinations, seizures and the potential for death. Most of the time, a hospital or treatment facility will use the Clinical Institute Withdrawal Assessment for Alcohol (CIWA) as a means of assessing the level of withdrawal that an individual is experiencing and the method of treatment needed. The appropriate amount of medication and treatment provided to a patient who is suffering from withdrawal symptoms will depend on this initial diagnosis and the severity of the condition as well as the progression of the alcohol withdrawal and various other factors. Various tests may be used to diagnose alcohol withdrawal syndrome in patients who’s alcohol consumption history is unclear. Treating alcohol withdrawal syndrome is a multidimensional process that involves hospitalization, medication, therapy and rest. Benzodiazepines are used to effectively manage the symptoms of withdrawal which could lead to dangerous seizures by helping the alcoholic to remain calm and relatively sedated during the withdrawal process. In some cases, antiphychotics such as haloperidol are also used as a first-line method of treatment for serious agitation or similar symptoms. A number of additional medications can also be prescribed throughout the alcohol withdrawal process depending on the individual symptoms that the user is experiencing. Medication may be provided to control heart rhythm, prevent brain damage, boost immune system or otherwise regulate the proper functioning of the organs during alcohol withdrawal.